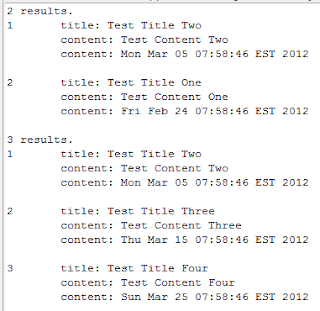 This post is about Sort the Search Result in Lucene 3.5.0.
only change the time field to NOT_ANALYZED and add the Sort condition. * @return Self instance so we can do something else directly. * Set SortField(s) to Sort and return the instance of Sort. store the Sort instance and the SortFields in it. This fragment do search with Sort. 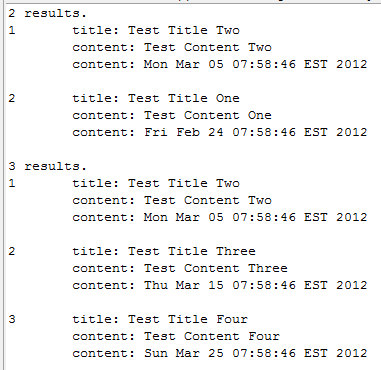 the second search sort dateTwo to dateFour in ascending order.